My sophisticated & stylish sistah for the week is actress Gabrielle Union. She is the Hollywood “it” girl at this time and everywhere you see her from premiers to parties you’ll always see that winning smile. 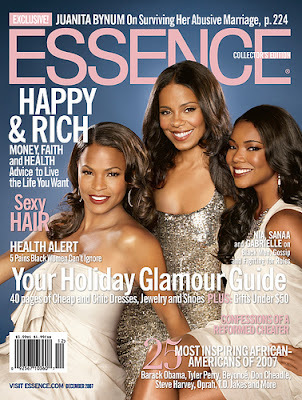 The last movie she did was “The perfect Holiday” with Morris Chestnut & Queen Latifah and she looked so elegant on the cover of the December issue of Essence Magazine with fellow actresses Nia Long and Sanna Lathan. A well spoken and classy lady she also has the most beautiful and flawless skin and that’s why she’s a spokesperson for Neutrogena. Newly divorced, you will find her at many industry parties but she always looks on point with all of her wardrobe picks. Keep your eyes open for more of this sophisticated & stylish sistah for 2008.